Special occasions - please check the calendar! A simple service for everyone. 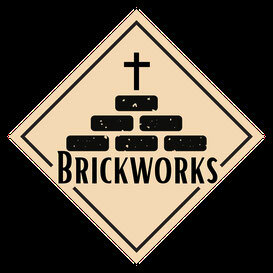 All of Brickworks church together in one place. Probably the place to start if you want to just drop in, sit at the back and take a look at who we are (though you're welcome any time!). Refreshments afterwards. A simple worship service in an informal setting. Come and get real with God without getting bored. No hard pews, no dusty service books – just worship from the heart, and straight talking about life, God and everything in between. Anyone is welcome to join us – from 0 to 100. We won’t be having any specific children’s work, but there will usually be children present. Designed with children and families in mind, with very hands-on learning and worship. Most weeks there’s also food to share. Please note that there are steps up to the door of the house, and the toilet is upstairs. On Wednesday morning a group meet for bible study, learning, mutual support in growing as a Christian, friendship etc etc. Contact Fred Swartz on 07745 301136. On Wednesday midday there’s a bible study and support group for people recovering from any kind of addiction. Contact Fred Swartz on 07745 301136. Thursday afternoon. Midweek prayer is a short, reflective service using a Celtic Prayer liturgy, followed by a bible discussion. Contact Tom Fish on 07806 661811 or tom.fish@christchurchlye.org.uk.